Jack’s back in the long-awaited return of Valiant's 'Shadowman. 'The new on-going from Andy Diggle and Stephen Segovia goes it solo after making some guest spots on other books. Readers new and old will be fully immersed in this supernatural thriller that doesn't disappoint. Back to New Orleans and the bayou, voodoo and the loa, Diggle reintroduces Jack Boniface and Alyssa Myles with more emphasis on character development. After an exciting and action-packed sequence, the two are reunited but many questions remain. She wants to know where he's been all this time and expresses to him the burden she's been under during his absence. 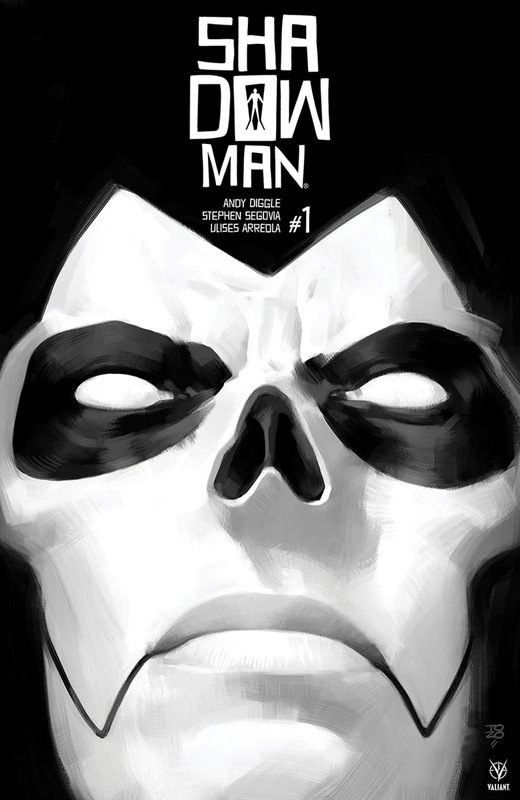 He stresses the pain and conflict within himself as the latest Shadowman and hopes he's the last. The inner turmoil of trying to contain the beast inside of him but can't divorce himself from. Since the shadow loa bound itself to Jack he's been trying to fight it and being stuck in the deadside found himself being manipulated into doing horrific things. Now, he's looking for freedom, redemption, and reconciliation. This is immersive storytelling, one that Diggle excels at. You get a sense there are all these different struggles both internally but externally. The tense relationship between Jack and Alyssa, the power of the loa within him, the supernatural forces wreaking havoc on New Orleans, the mystery behind his powers and how he wants to break the cycle. There's a lot going on and Diggle lays it all out while keeping it mysterious, contentious, and exciting. Stephen Segovia pencils a thrilling action scene but also gets the gravity of the interaction between Jack and Alyssa. Jack is pensive and contrite as Alyssa listens with concern but also indignation. It's hard to convey such emotions convincingly but Segovia does so with ease. Ulises Arreola provides colors that enrich and texturize the various locations, from the swamp to an apartment, there is added depth and boldness. There is a great mixture of shadows and light that give Shadowman a unique look. 'Shadowman' is sweeping and enveloping without losing the core of the characters at the heart of the story. This is poised to be another grand adventure, an epic supernatural journey with a familiar hero that is tortured but resilient. Diggle and company have the potential to give 'Shadowman' its greatest run yet. (No pressure, though).